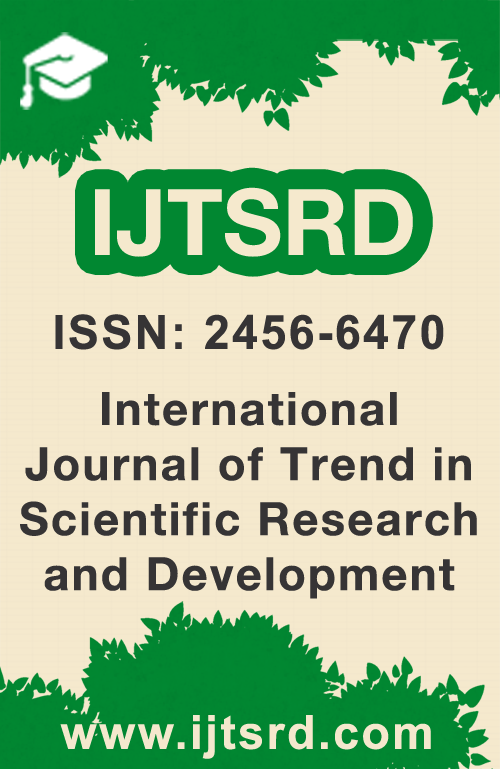 IJTSRD is a leading Open Access, Peer-Reviewed International Journal, which provides rapid publication of your research articles. The Journal is started with noble effort to help the researchers in their work and also to share knowledge and research ideas. IJTSRD is available via many university libraries. Articles are freely and easily available to anyone in developing countries. All articles can be accessed for free. We are providing rapid publication on Average time 3 to 5 days from submission to final publication of manuscripts. 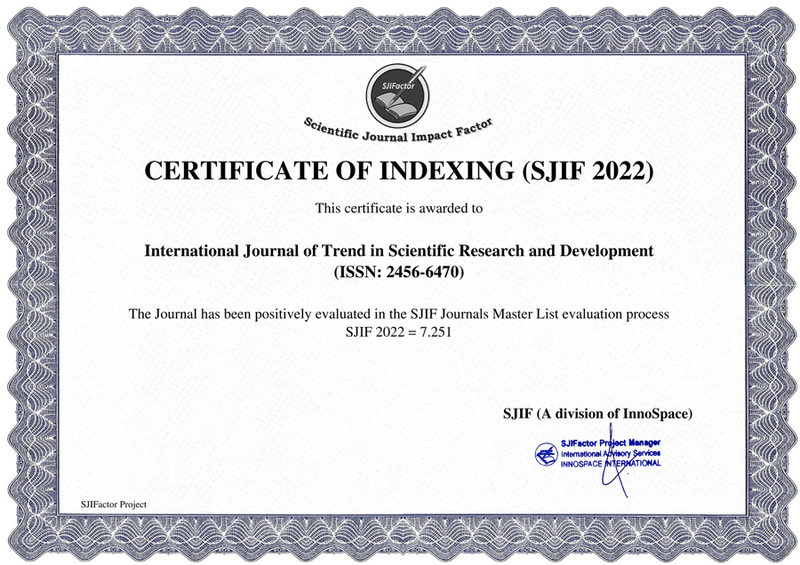 Individual Soft copy of "Certificate of Publication"